Because of where the vents are located in our home, none of the cool/warm air was actually getting into the room. Now, all the air is dispersed properly and our rooms our comfortable. it fit every vent we attached it to and it makes a difference in the warmth of that room. Heat is directed out at floor level instead of shooting it straight up. These vent deflectors do a great job of directing the heat or air conditioning away from the windows. I would not want to do without them. Works great! It gets the heat out in the room better making my bathroom a lot warmer. The HVAC vents in my newly purchased house are located directly above the space where I placed my bed. Air was blowing directly on my face. The vents work perfectly to direct the air away from my face. This works just as advertised. Used it under a table to direct the air flow out. 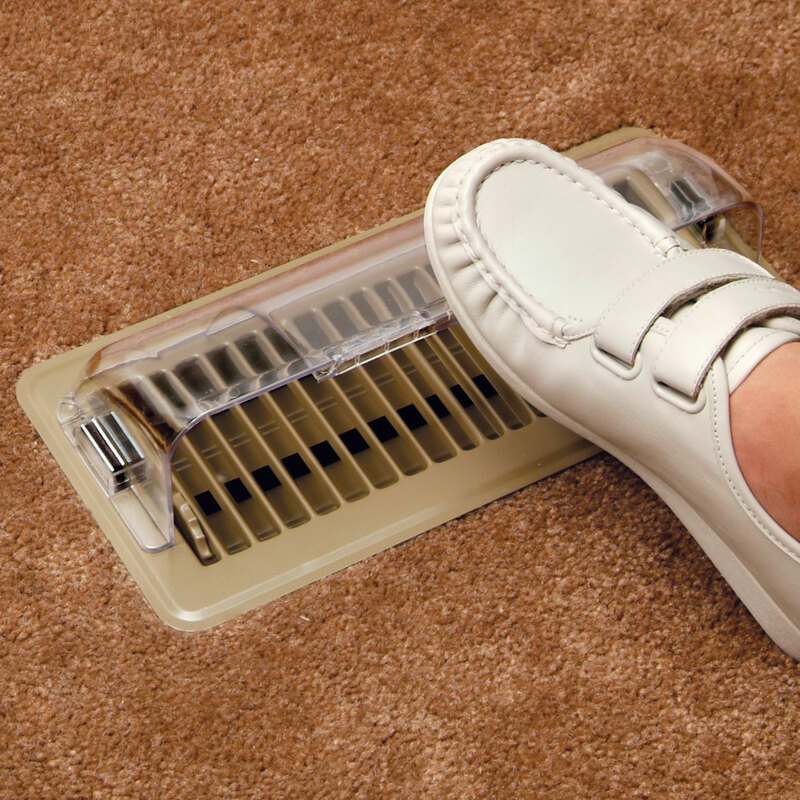 For floor vents, it is amazing, the air just shoots out into the room. but all but 1 of my vents are on the wall and these don't work for those. No way to attach them so air goes up. This is a great product for directing the air flow from your floor vents. Especially good for under a couch or chair to send air outward. Or when you don't want the air to blow directly on you. I have not found this item in any other magazines or stores. I LOVE it! Great when heat vent is under drapes or under tables. I am buying another one. It deflects the heat underneath my houseplants in the winter. My plant stands have to be directly over a heat vent in the winter in order for them to fit in the room. I bought this to deflect the air from blowing directly on the plants. Works Well for my purposes. This vent deflector does exactly what we needed. Great solution to an annoying problem. My wife is simply delighted with this product, and she actually kissed me to show her gratitude! Have a/c vent that was placed too high. This is a simple fix to deflect cool air downward into the room. Have used for Ceiling Heat Vents to avoid Drafts Magnet works well for me - bought another deflector at a box store and it wasn't as good. So I bought 4 more at Miles Kimball to finish the house. No trip just at home looking through your catalog and couldn't wait to get it Thank You. We have several floor vents that are under the windows that direct the warm air upward and to the sides. Most of the heat warms up the windows and the inside the drapes first. Next, the ceiling is heated before the heat decends into the top half of the room. These deflectors send the heat out across the floor and heat the room from the bottom up, where it is needed most. Great product!!! But, the magnets are a little bit weak to keep them in place if a toddler or an animal bumps against them. This does what it was designed to do. Only got one to try for thought it was rather pricy. I've only tried it with one vent in my kitchen and it directs the warm air toward the lower leg/feet area. I was surprised when I saw all there was to this deflector, but it works okay. I need to try it in other rooms to see if I would want any more of them. My new drapes kept billowing every time the furnace kicked on. This works great to keep that from happening. They are great. Very Sturdy. I would recommend these to anyone. I just wish you had the extended vent deflector. That is what I really need right now. These vent deflectors are the same thing you find in any store, only less expensive. we have a few vents under chairs and cabinets. these work great. Just installed central air unit to older air ducts on the floor and they work great to direct the coolder air up. Perfect for using on vents that are in ceiling to keep air from blowing directly on you. Use in home and RV. It works very well for redirecting the airflow. It is also very durable. We have floor vents and they have been kicked more than once and have not broken. 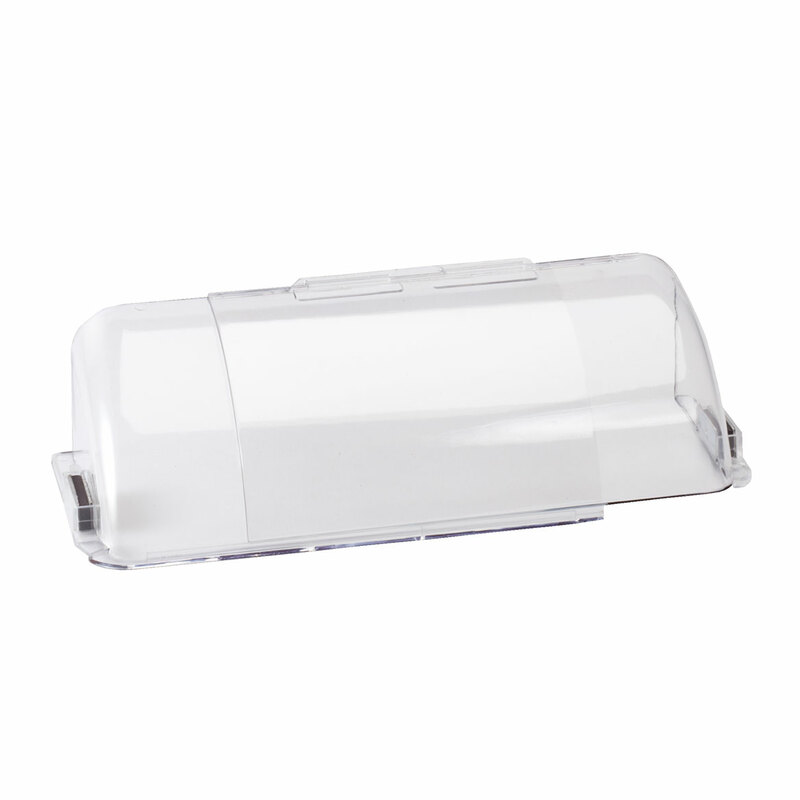 I have been very happy with this product and will buy more as we decide we need to redirect other vents. Excellent idea to direct heat from vents which are often on the outer walls of rooms. Magnets keep the vent directors in place. Purchased for all 8 vents in my home. it does what its supposed to do. magnets seem sturdy enough. It's as easy as that!!! I use these where a heat floor vent is covered by a bed or dresser. They are a cinch to install! Just open the box and adjust to the width of your floor vent. Secure in place with the strong magnets and VOILA! You're done! Heat where you want it not trapped under a bed or furniture! This is my first expierence with vents. I felt that a lot of the heat was going up behind the curtains. The vent deflectors are great. I can feel the heat when I get close to them. They send the warm air into the room you are in, not back towards the window. They work really well. I send away for two more but did not no about free shipping and had to pay shipping. not happy about that. Vent Deflector are THE Thing! Love these vent covers. They are magnetic and STAY IN PLACE wonderfully. They prevent kitty litter from entering my system, and now I don't lose any jewelry "down the drain" when I drop a piece. I have had similar deflectors for many years. I have been wanting to try this floor vent deflector ever since I started seeing them advertised. Since I had glued my "breakable" deflectors I had to wait until one of them was no longer usable before ordering this deflector. This product is great to use under furniture to protect it from the heat. I used it under a bench in the dinning room, and between two pieces of furniture by the picture window in the living room. A special feature that it had was magnets on the edges that 'clung' to the metal heat register...wonderful...because it lent stability to the product! I am pleased with this 'heat deflector.' It's worth purchasing. Direct the warm or cold your way! Great product! Does what it says- puts the heat out into the room where it's needed! was able to used this on a non-magnetic unit with the adhesive tabs in my mom's assisted living facility to direct the air away from her chair that she sits in most of the time. Product worked just as I wanted, redirect our furnace away from hitting me at night. Put it where it counts! A great way to expand heat out into the room and it stays where I put it. My son has an older home where the hot air vents are near the ceiling. The hot air was rising to the ceiling directly from the vents,he purchased four of the deflectors, placed them at the top of the vents to force the air down, it is amazing how well the heat is now distributed throughout the whole room. If you need more stability use velcro strips. Great product! Have two heat vent by the doors and this directs the heat inside. Just what I needed to get the heat into the room rather than between the curtains and the window. Works. The magnets are pretty weak so it is easily moved off the vent by my cats. If the magnets were a little stronger this would have gotten 5 stars! We have some plastic deflectors that we have been using and they have been easily broken and a non-breakable one sounded VERY GOOD to me! Use it on window unit. Deflector magnetic so we improvised our installation. Worked great to redirect the air flow. Other stores that have this product are way over priced. Most of my heating vents sit directly below my windows and sliding door (poor bldg design! ), so I have to sit stools over the vents to push the curtains and drapes against the walls or sliding door so that my heat does not get lost blowing up my curtains and drapes. I purchased just one deflector to see if it might eliminate my problem. It turns out that the depth of the deflector is not deep enough to make the clearance; however, my cat loves having the heat coming directly at her. They solve furniture placement problems but they are difficult to keep in place. This product is a bit chintzier than I expected and could be deeper, but they do help to distribute the heat. If your vent is really wide this may not extend in a way that you can use it. Mine are not flat on floor and are 18-24 inches. My home is 100 years old. magnets are not strong enough! i put on my vent deflectors and as soon as the air came on, they fell off. To deflect heat away from the drapes and out into the room. We have very high open ceilings so I wanted to direct the air to the floor instead of up. Also two of them are right where the drapes in the LR are to the floor, so the air was constantly going under the drapes and not into the LR. Got one for another ceiling vent! Works wonderfully! This definitely pushes both heated and cooled air away from the sliding glass door, but is kid friendly too. Much better than the hard plastic ones. Lets the air go where you want it to go. Instead of the heat just going straight up, I want it aimed at me. I bought these vented air directors to push the warm air into the room. Before it was blowing straight up and covering my blinds with dust. This will keep the heat from rising under the drapes to the cold windows, and keep it directed into the bedroom. I live in an apartment and this will keep my dry mouth at bay. The a/c vents in our mobile home are in "bad" spots. I've had to set furniture over some or others are blowing behind doors or window curtains. I am hoping these deflectors will help circulate the air better and therefore cut down on our cooling bill this summer. To send the heat out to the room instead of up under curtains or under furniture. I want to see if it will do what it says and help direct heat to where it will do more good. So the cold a/c does not blow on my dinner table while I am eating making my food get cold. Have floor vent near a wall in family room where heated air from the furnace needs to be directed INTO the room instead of UP to the ceiling. This deflector had positive reviews from other Walter Drake customers. Had good specs re: size. Want to redirect theheat airflow into the rooms. These are great help to heat the "right" places, used it on vent under my PC, and keeps my toes warm! My mother-in-law doesn't like the air directly blowing on her bed. I'm trying to heat my home more efficiently. This product looks like it might help. Love these. Have one that works on any vent. I have ceiling vents and because of the strong magnet they stay up great. Reviews sounded like it was just what we needed. Just moved into an older home where the vents are directly under a window. Those 3 rooms stay too warm and we are hoping these will help. To help the heat go in the directions I want it to go.